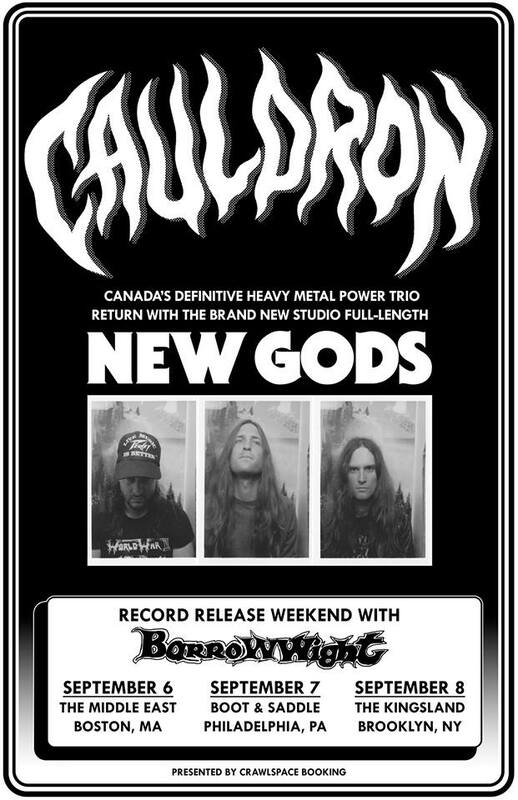 New Gods is the forthcoming new full-length from Canadian heavy metal trio CAULDRON. Slated to drop September 7th via The End Records in North America and Dissonance Productions in Europe, the band’s fifth full-length and follow up to the critically-lauded 2016 album In Ruin was captured by Chris Stringer (Timber Timbre, Wooden Sky) at Union Sound in Toronto and again promises a strong emphasis on songwriting and melody, complete with high-end organic production to match. Hear “Letting Go” at Decibel at THIS LOCATION. 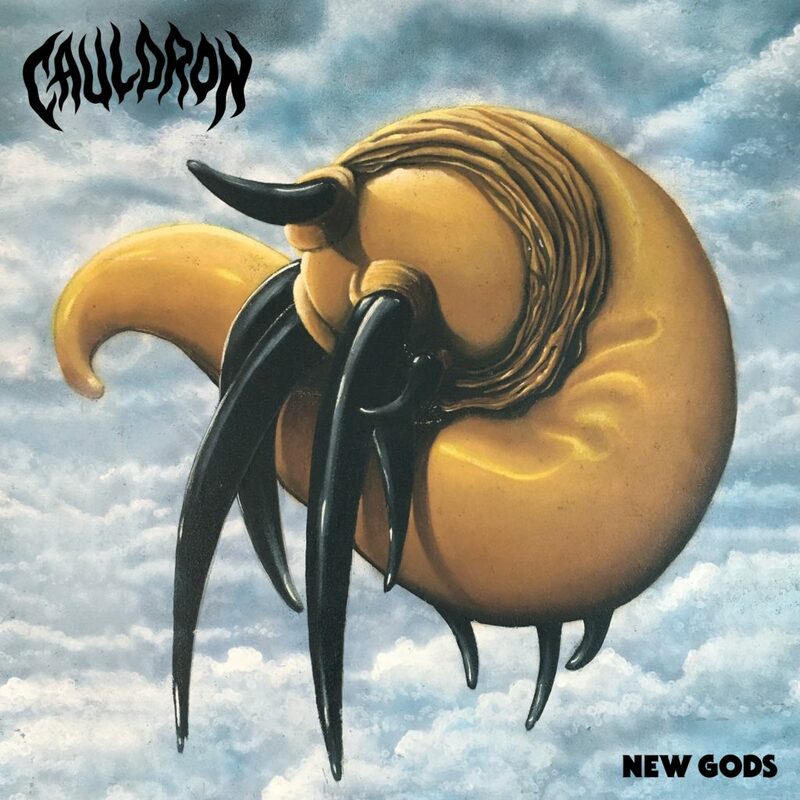 CAULDRON’s New Gods will come available in CD, digital, and vinyl formats. For preorders go to THIS LOCATION. Toronto’s CAULDRON was born from the ashes of Goat Horn. After calling it a day in 2006, frontman Jason Decay wasted no time in putting together CAULDRON to continue with his heavy metal vision. 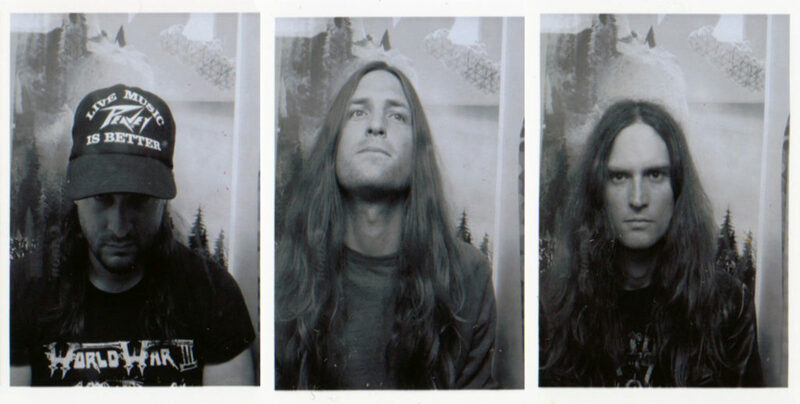 Leaders among the new wave of traditional heavy metal, CAULDRON — which features Decay alongside Ian Chains (guitar) and Myles Deck (drums) — has since released the Into The Cauldron (2007) EP, as well as four full-length albums: Chained To The Nite (2009), Burning Fortune (2011), Tomorrow’s Lost (2012), In Ruin (2016), and the Moonlight Desires EP (2014). The band has toured the world with the likes of Municipal Waste, Death Angel, Nevermore, Diamond Head, Enforcer, and in the summer of 2013, were invited to play Metallica’s Orion Fest in Detroit. Burning Fortune was nominated for a Juno award in 2012 while the video for the single “All Or Nothing” has received almost 600,000 views on Youtube/Vevo and was featured in the video game RockBand.